Thank you for choosing to register for the Mt. 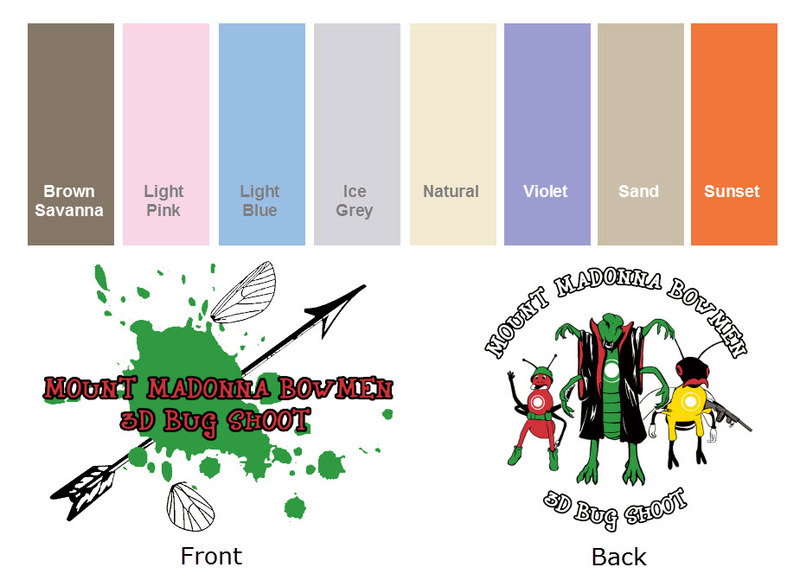 Madonna Bowmen Bug Shoot Online. There are 2 steps that MUST be completed. Please read the instructions for each step carefully. NOTE: Online pre-registration and payment acceptance ends July 13th. Pre-Registration for the Bug Shoot has ended. You can register on Sunday at the shoot. You do not need to have a Paypal account to complete this transaction, only a valid credit card and email address. Instructions: Add the appropriate shoot fees, meal tickets and/or t-shirts to your cart. When you have everything in your cart, click on the “Checkout with Paypal” button in your cart to be forwarded to Paypal. Follow the instructions on Paypal to complete the payment processing. Your registration form and payment will be matched up to ensure appropriate amounts were paid. You will be emailed of any discrepancies. prior to the shoot start. 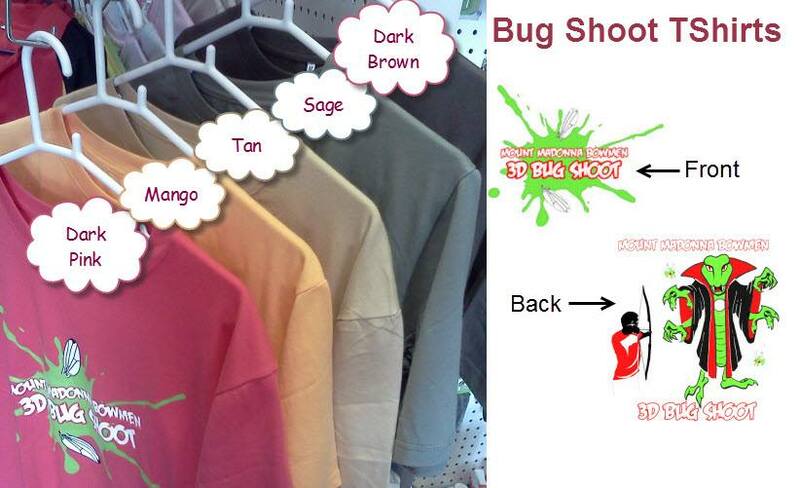 Bug Shoot shirts will be available the day-of of the shoot. **Please note that there are limited sizes and colors available of both designs so be sure to stop by early for the best choices! Once both steps have been completed, you should have TWO (2) receipts emailed to you: one confirming your registration form entry and a second from Paypal confirming your payment. Please print BOTH receipts and bring with you to the pre-registration table the day of the shoot. 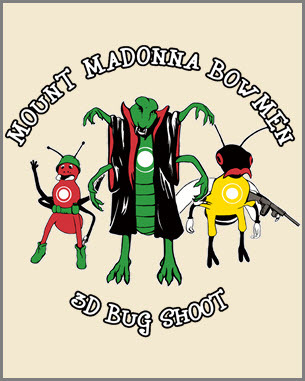 Please contact us at mmbowmen.webmaster@gmail.com with any questions or problems and we look forward to seeing you at the Bug Shoot!